Germany have suffered a major blow with the news their powerhouse forward Mario Gomez was ruled out of the World Cup qualifier against Kazakhstan due to muscle injury. Another notable omission is Benedikt Hoewedes, who is set to miss the forthcoming game because of fitness concerns. The pair were the latest players to enlarge the injury list for Germany manager Joachim Loew, who was forced to call up three more players to replace those injured during Friday’s 3-0 win over Kazakhstan in Astana. 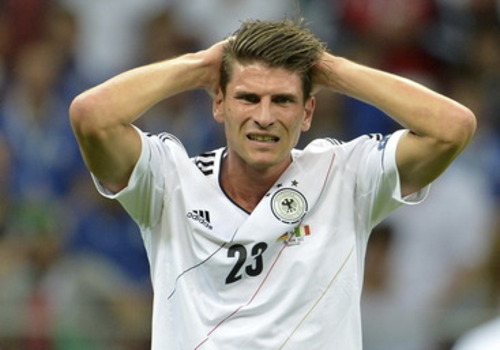 While Hoewedes has picked up a knock during the game, Gomez was injured at the training session before the match. Both players set to be assessed by the medical staff at their respective clubs. Germany are currently topping Group C with 13 points from five games, five points ahead of the closest rivals Sweden.